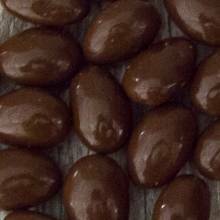 Crunchy raw almonds, covered in smooth and rich milk chocolate. They are the perfect snack all year long. Price quoted is per pound, not including shipping.